Happy New Year from Tattoo Education! It's hard to believe another year has gone by. At the same time, though, the tattoo art form has been evolving so rapidly that a year has meant all kinds of changes, ranging from new machines and needle technologies to stylistic and technical breakthroughs on the artistic front. A year can be a significant amount of time with things developing at this kind of rate. This is undoubtedly an exciting time to be part of the tattoo profession. 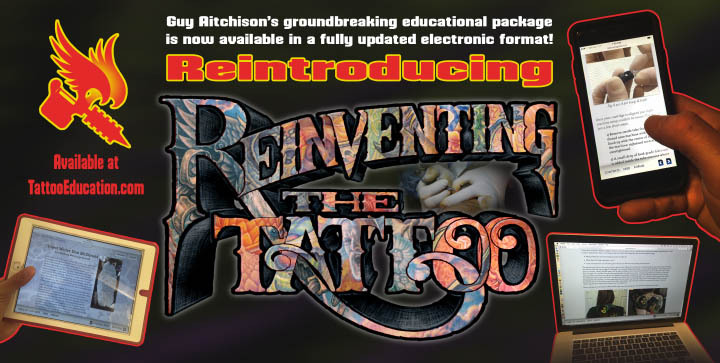 For those wanting to make it their New Year's resolution to grow as an artist and a professional, I wanted to remind you of the electronic reissue of my educational package, Reinventing The Tattoo. Reinventing is nothing less than my life's work as an educator, brought up to date and expanded into an electronic format that you can access from your phone, tablet or computer. It contains hundreds of pages of material exploring all aspects of tattoo design and technique, with guest writers such as Russ Abbott, Nick Baxter, Megan Jean Morris and Don McDonald, plus other new chapters including one that goes into detail about rotary machines and cartridge systems. The Reinventing package will continue to grow this coming year, with the addition of a major coverup tutorial plus other guest chapters by some of the biggest names in the industry. Reinventing The Tattoo is still available at a special introductory rate... drop by TattooEducation.com for more information. 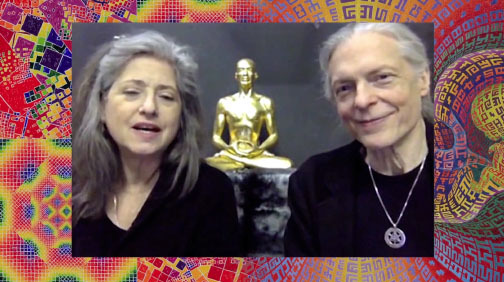 I also thought that this was a great time to post the edited version of the Hypercast interview that Michele and I did with Alex and Allyson Grey a year ago. It's a fun and very visual long format interview, covering the meaning of visionary art and how it relates to tattoo culture, plus many other fascinating subjects. We've known the Greys since 1999 and have always enjoyed their unique and thoughtful perspective on subjects ranging from art to the meaning of life. You can watch the video at our YouTube channel, TattooTelevision, or if you can't spare an hour and twenty minutes, there are four fun excerpts posted as well.